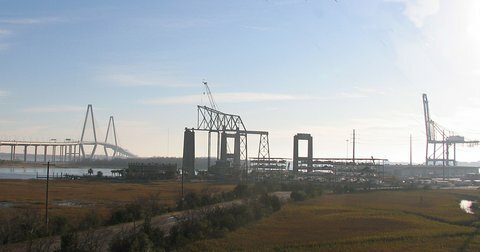 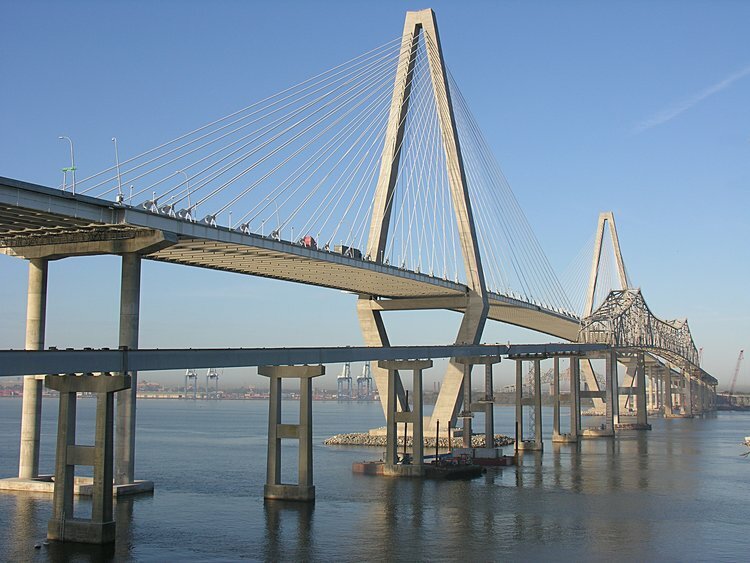 Starting at the beginning - here is the Ravenel Bridge, the Pearman skeleton - and off to the lower right you can see the red crane towers - the site of girder picking. 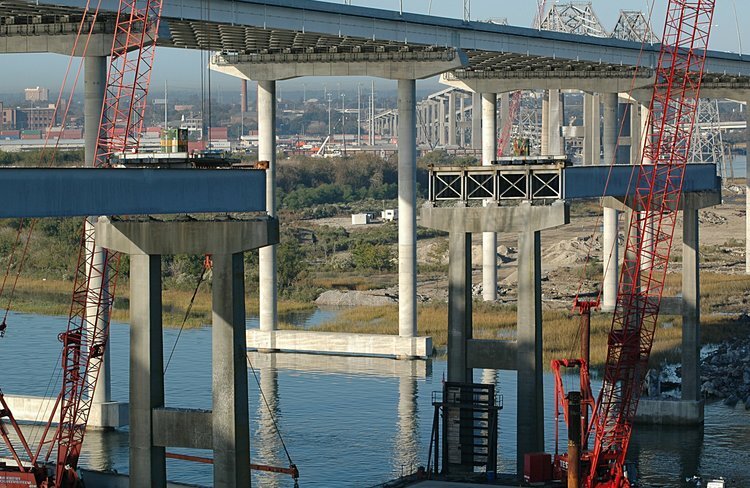 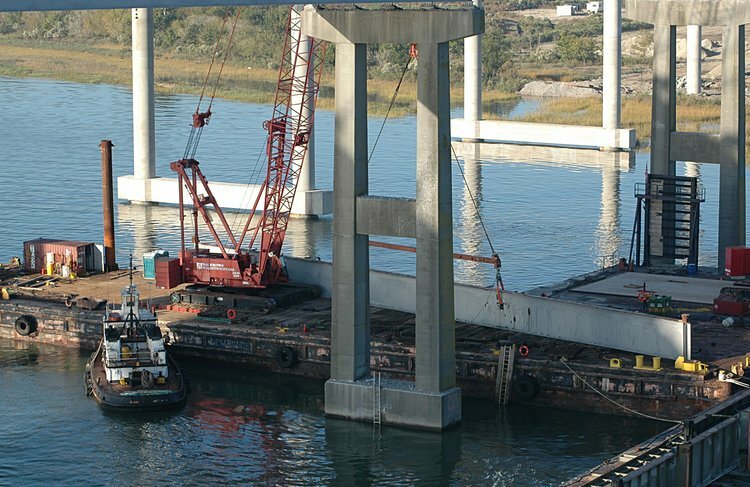 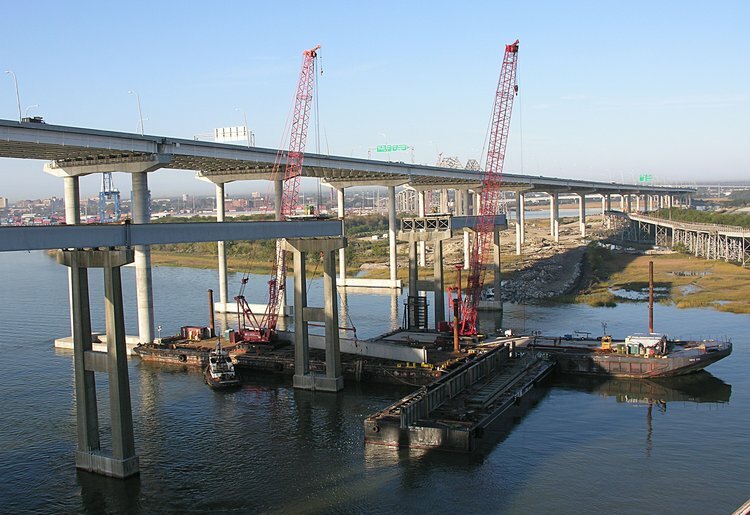 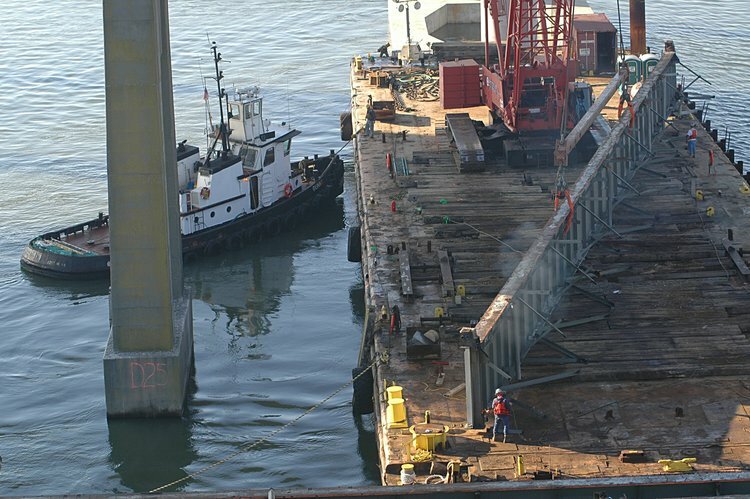 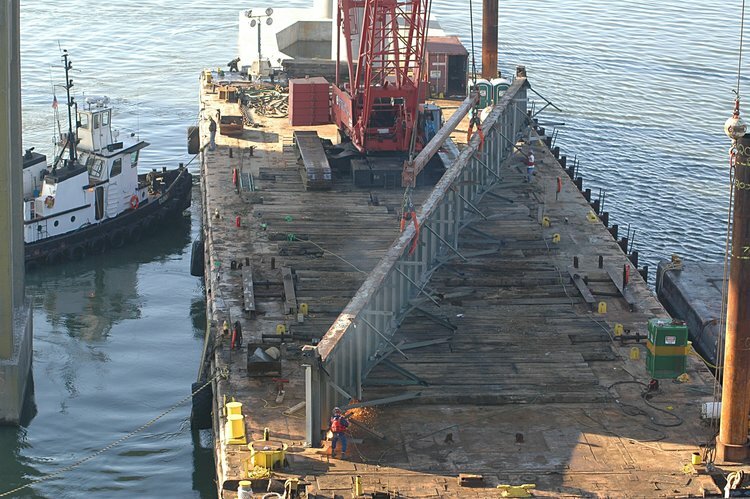 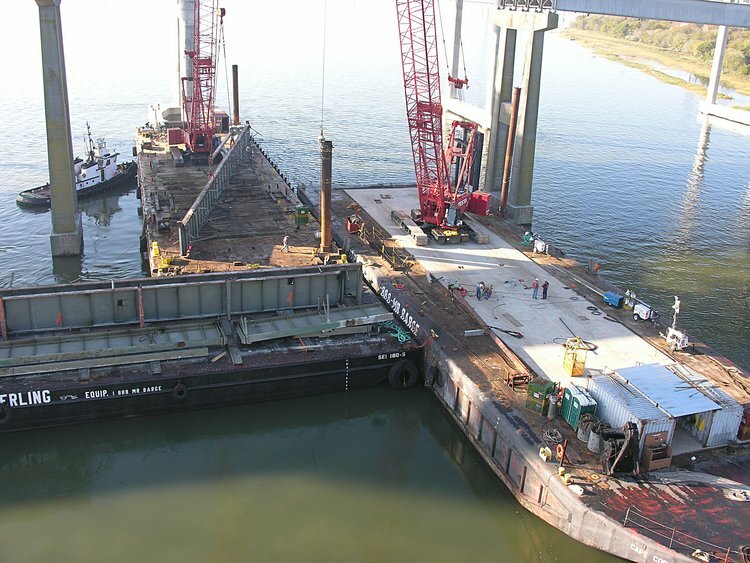 Here is the setup at the edge of Drum Island - The left crane does the lifting and placement of each girder spanning two pier caps while the right crane is sort of like a surgical assistant - helping with the fetching and toting. 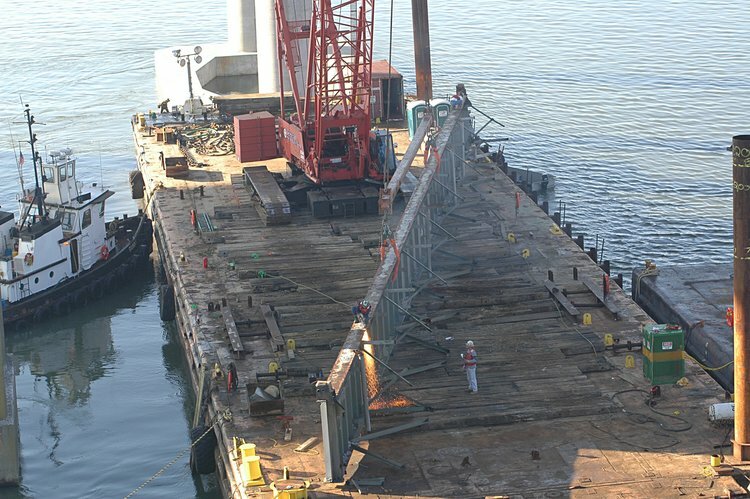 For the last girder, the right 2250 held it in place after the 4th girder had been taken down. 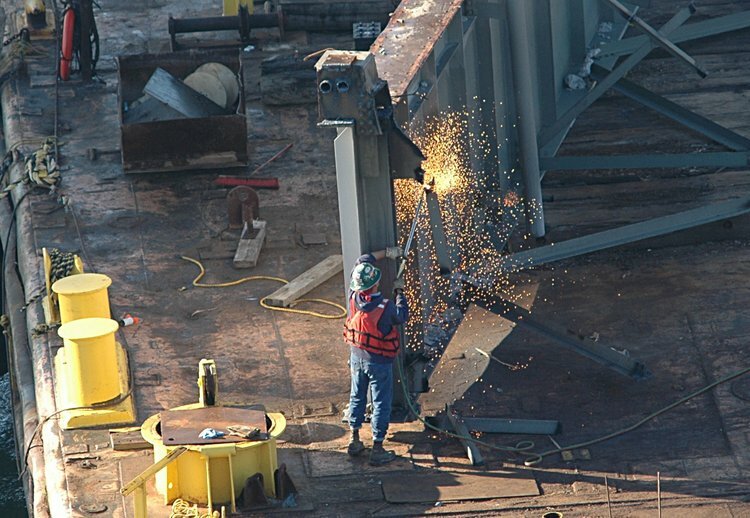 This stabilized the 5th (edge) girder and prevented it from falling over. 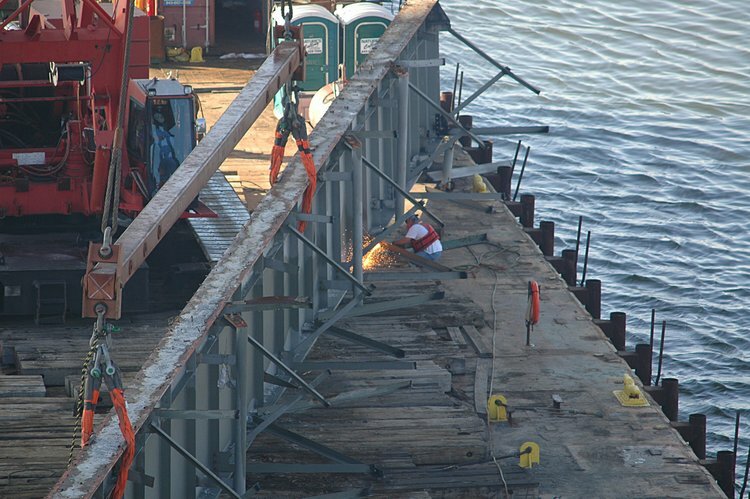 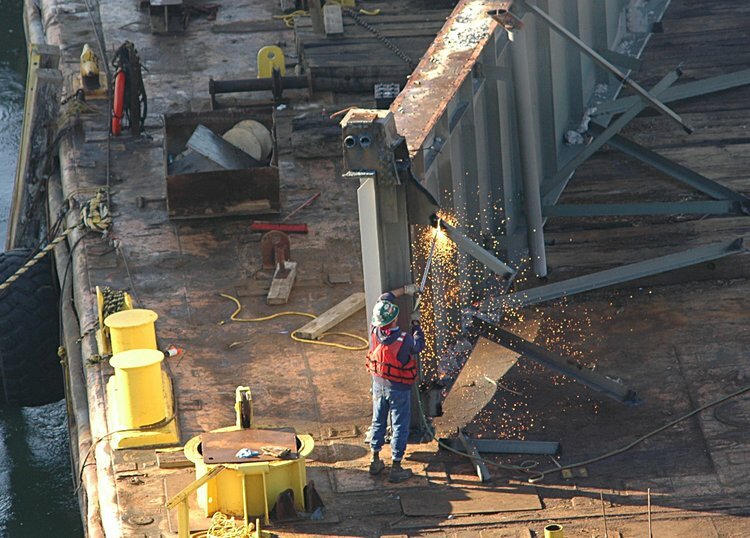 Here you can see the exposed girders with internal X crossmembers.